The Federal Government, through its newly set up National Prosecution Coordination Committee, may start filing fraud charges against some former governors before the end of October, The PUNCH learnt on Sunday. It was learnt that the NAPCC and some of the special teams of prosecutors, pooled together by the Attorney General of the Federation and Minister of Justice, Mr. Abubakar Malami, had commenced the review of the corruption cases involving some of the former governors and politically-exposed persons. A top member of the NPCC told our correspondent on Sunday that the preliminary issues would be completed soon and the Federal Government’s special teams of prosecutors would start filing charges against some of the ex-governors. The PUNCH gathered that various anti-graft agencies and other law enforcement bodies with prosecutorial powers had since complied with the directive issued by the AGF in August, asking them to remit the duplicate files of the high profile cases they were handling to the NPCC. Earlier, The PUNCH had reported on July 28 that the AGF had written to both the Economic and Financial Crimes Commission and the Independent Corrupt Practices and other related offences Commission, calling for the duplicate files of the alleged corruption cases involving some named 31 ex-governors. 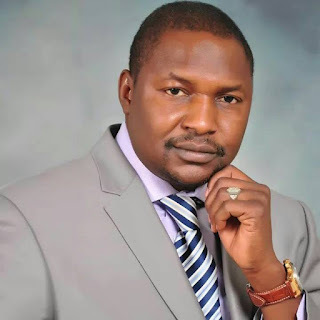 A source, familiar with the ongoing review of the cases, said, “You will recall that before the NPCC began work, the AGF had written to the EFCC and ICPC, asking them to remit the duplicate files of 31 ex-governors and some other politically-exposed persons to his office. “While the anti-corruption agencies had yet to respond, the AGF again asked the various agencies with prosecutorial powers, including the ICPC and the EFCC, to compile and remit the duplicate files of all high profile cases they had to the NPCC. The source added that the files had been distributed to some of the 20 prosecuting teams, each comprising four lawyers, also recently pooled together by the Federal Government through the AGF. The source stated, “We don’t want to rush to court. So we have asked some of our teams of prosecutors to look into the files and review the evidence and draft charges where there is sufficient evidence. “After the review is completed, we will then hold a conference of all the lawyers to review the drafted charges before filing. The PUNCH obtained the list of the former governors, who were named in the AGF’s letter, and reported that some of the ex-governors included some who had been convicted for fraud charges preferred against them by the EFCC. Some of them also had their cases terminated before full-blown trials could begin. Others were said to be currently undergoing trial on charges initiated against them by the EFCC at either the various divisions of the Federal High Courts or the High Courts of their home states. There are about five of the former governors who are now serving senators. The affected personalities, it was learnt, served as governors for either one or two terms between 1999 and 2015, and were from the six geopolitical zones of the country. The list contained the names of Senate President Bukola Saraki, who is a former Governor of Kwara State; Godswill Akpabio, a former Governor of Akwa Ibom State; and a factional Chairman of the Peoples Democratic Party, Senator Ali Modu Sheriff, who is an ex-Governor of Borno State. They also include Ikedi Ohakim (Imo); Achike Udenwa (Imo); Abdullahi Adamu (Nasarawa); Gbenga Daniel (Ogun); Jolly Nyame (Taraba); Boni Haruna (Adamawa); George Akume (Benue); Rashidi Ladoja (Oyo); Attahiru Bafarawa (Sokoto) and Adebayo Alao-Akala (Oyo). But among them, only Udenwa, Mu’azu, Dakingari, Sheriff, Akume, Elechi and Akpabio have never been charged by any of the anti-corruption agencies. Apart from the charges relating to his assets declared to the CCB, full-blown criminal charges relating to his tenure as Governor of Kwara State have also not been filed against Saraki. Part of the AGF’s letter indicated that the cases against some of the former governors were investigated some years ago but charges were never filed against them. The letter partly read, “It is clear that some of these (ex-) governors and other politically-exposed persons have not been charged to court despite the fact that the ICPC has concluded their investigations concerning allegations levelled against them, for one reason or the other. When contacted by our correspondent on Sunday, Special Adviser to the AGF and the spokesperson for the NPCC, Salihu Isah, said he needed time to make inquiries about the level of work of the committee.